Jose took me out to the Pueblito Los Dominicos. It's an old monastery that's been converted into a tourist trap. 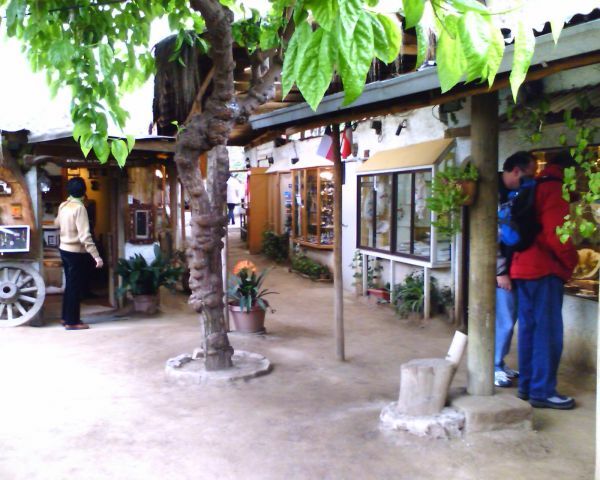 They have lots of little shops in a very nice rustic setting. I found some Lapis lazuli stone necklaces for my wife. I decided not to buy the necklace there, sure I could find a better price in town. Surprisingly (after a couple of days), I discovered that the best price and quality was at the little shops in Los Dominicos.